Electric vehicles, if widely adopted, could break the back of our dependence on oil. Not only would we no longer need to send troops to secure oil from unfriendly parts of the world, we would be free of the oil companies themselves. Oh, and by the way, we would be cleaning up our air at the same time. You may be wondering as to the significance of our tagline “…connecting the dots”. Throughout this website we will continually expand upon this notion of bringing together Solar PV, Electric Vehicles (EV) and Smart Home technologies. We believe that this triad of technologies not only add to each other’s value but that they cannot achieve widespread adoption on their own. Part two is the Electric Vehicle or EV, opening up an opportunity for clean, quiet transportation, free from the need for oil. The critics (aka fossil fuel spin doctors) will argue that you are simply trading the dirty gasoline emissions from the car’s tailpipe for the dirty coal emissions from the power station’s smokestack where the EV’s electricity will be generated. So you will hear much to do about the variations in the electricity generation profiles (what power plant fuels are used) in various parts of the country. But rather than getting tangled up in this limiting perspective, let’s broaden our vision… let’s add Solar to power your new EV. Now your new SEV (Solar powered EV) is running on clean abundant sunlight… no oil and no coal. It typically takes approx 2.5 kW of Solar PV to support an EV. Most car dealers have an arrangement with Solar installers to offer this package deal although I have yet to hear of a financing “package” that truly bundles both items together. But if your are seriously considering PV to power your EV, you might want to consider a larger PV system to power a significant portion of your home’s electrical needs. The economics are more favorable for larger PV systems. Plus you will be opening the door for a Smart Home that is also resilient during grid outages. I don’t know about you, but I have definitely railed against the oil companies when prices took unexpectedly large jumps such as those back in the 70’s and more recently back in 2008. How is anyone supposed to fit these kind of swings into an already strained budget? With an electric vehicle, there will be no more waiting in line at the gas station on your way to or from work. Isn’t getting away from oil what we’ve all been dreaming of over the years? Well, it’s time to start acting on it. I challenge anyone to test drive a Tesla Model S and say this. Or the BMW i8, or many of the other EV offerings popping up every day. The Tesla Model S could put most gasoline powered muscle cars to shame in a number of performance areas… 0-60 mph in 4.6 seconds… governor limited top speed of 134 mph. And it is beautiful outside and luxurious inside. In our opinion, it is the quintessential automobile, electric or otherwise. But don’t take my word for it… test drive one yourself and let me know. EVs are here… they can be very cool and fun to drive. One of the bigger hurdles to widespread adoption of EVs is “range anxiety”… the perception that you can’t go anywhere without public charging stations. The sad part about this phenomenon is that it is a phantom… a perception from people that have never owned an EV. The majority of actual EV owners quickly settle into a comfort zone of knowing what their EV can do and consequently do not suffer from this debilitating malady. Not only that, but they quickly realize that the whole filling station model is turned upside down. You never need to find a gas station before you head off to work… you have your very own gas station and it is in your garage! You always start out with a full tank.. and ideally it’s free, clean power from sunlight. Can I use my EV for road trips? At this point, I would say not without material planning and an adventurous spirit. A public charging infrastructure will be needed for this kind of activity. We don’t see this infrastructure being nearly as large since it will be for the exceptional driving (i.e. road trips) and not for the daily routine driving. The majority will be on major highways and will be high speed DC fast chargers. We at EC are anxious to help make these Solar powered as well. So… an EV for a daily commuter car is a perfect way to start. we like to call it a first phase roll-out. 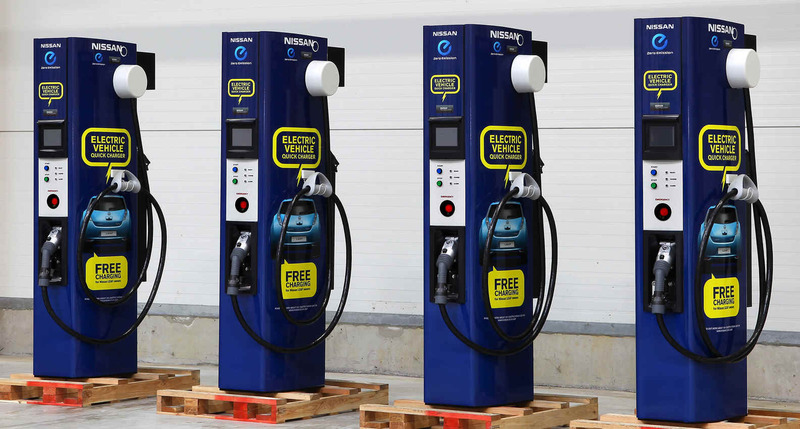 Phase two will be workplace charging extending EV capabilities to accommodate unscheduled driving throughout the week. And finally, phase three will be the very much smaller public infrastructure for the occasional road trips. There is a more progress being made in phase two and three than most people realize… but phase one is ready now. As mentioned above, the critics will argue that you are moving the gasoline emissions from the car’s tailpipe to the power station’s dirty coal emissions. The debate will rage over the variations in electricity generation profiles… what is the mix of fuels that are burned to create your electricity. There have been many studies showing EV’s are less harmful to the environment trading the gasoline emissions for power generation emissions. I will not engage in the details because that’s where people get tangled up. Instead I will put out some big picture items that should keep the discussion on track. First, the power profile across the US is getting greener every day and will continue to do so. Second, and most importantly, people are skipping over this whole argument and broadening their vision… they’re adding Solar to power their new EV. Now their new SEV (Solar powered EV) is running on clean abundant sunlight… no gasoline and no coal. Currently, there is a material purchase price premium for EVs just like there was for PV. However, there are incentives that offset that premium. As the market continues to grow, economies of scale will kick in and the incentives can fade out. And once you have your EV, the gasoline savings kick in and they are much more compelling than the electricity savings were for PV. The key for EVs (especially Solar powered EVs) is that the harvested sunlight is abundant, clean and is not subject to arbitrary price hikes for traditional fossil fuels. Imagine a vehicle that pays for itself the more you drive it. More details on the economic case for EVs are discussed below. 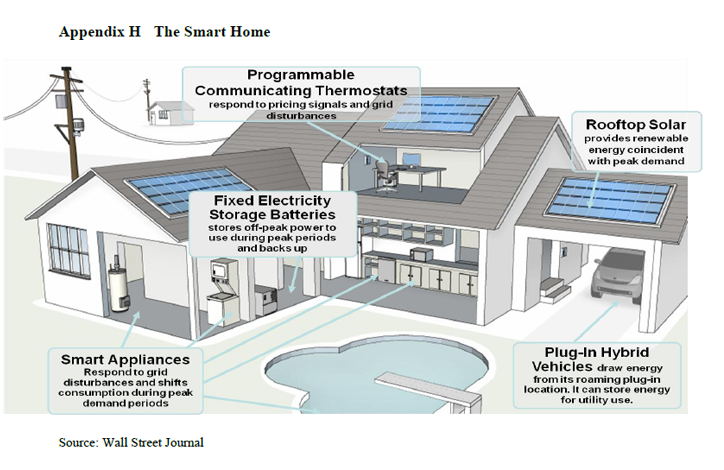 Although this smart home graphic is a complete configuration, we will highlight only those components pertinent to our discussion… plug in electric vehicles and their charging stations. Nissan’s Affordable All Electric Leaf. While not a head turner, it has all the electronic amenities like the generous screen to display the built in Navigation system with optional backup camera and Bose sound system. It gets an average of around 75 miles per charge and with the 6.6kW charger can recharge in 3-4 hours. If you ever do need to recharge while on the road (an infrequent occurrence with your home charging station) there is an optional DC Fast Charger port that allows you to get a charge in less than 30 minutes at select locations (there are not a lot of these out there yet). Chevy’s new extended range electric Volt. A nicer looking car, but has a gasoline engine to extend the limited range of the batteries… not really up my alley. But for many, it is the perfect solution for range anxiety… when the batteries are depleted you can “run on gasoline” and fill up at any conventional gas station and keep travelling for as long as you like. Many Volt owners I’ve spoken with are now comfortable moving to an all electric since they realize they haven’t been to a gas station in quite a while. 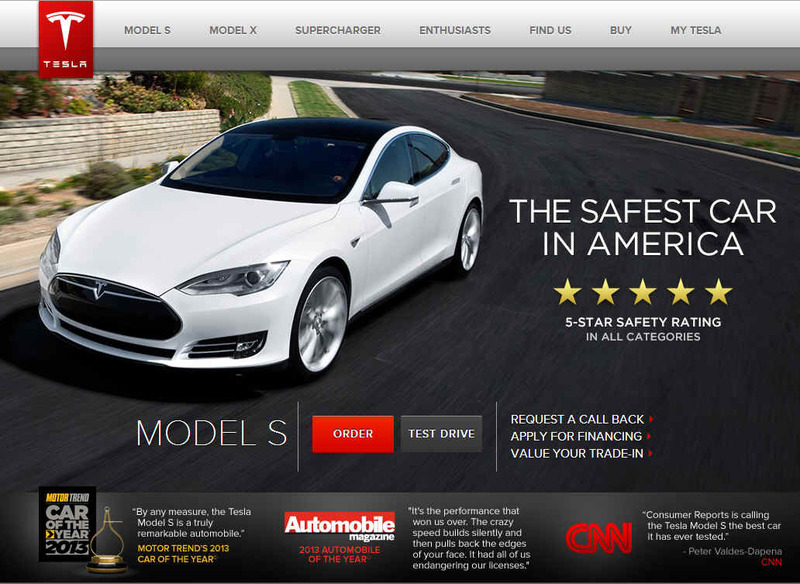 Tesla’s Award Winning Model S. This is the electric (or any other) car to own… if you can afford one. Absolutely beautiful and engineering that can’t be beat. The range is around 250 miles and it can outperform most supercars from a dead stop. It won pretty much every award there is and Tesla’s stock has gone thru the roof. But at $80K, it’s a bit outside of my price range. I’m waiting until they come out with “the peoples model” in 2014. 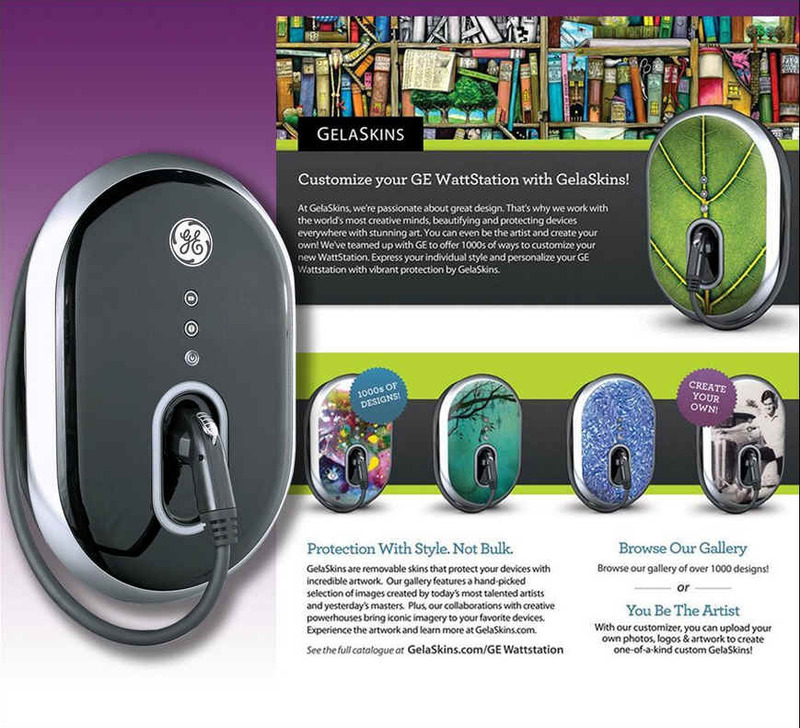 The bulk of “filling up” your EV will happen with a Level 2 home charger such as this wall mounted GE Wattstation. However, for those occassional trips that take you beyond the EV’s home base range, there is a growing network of DC fast chargers. 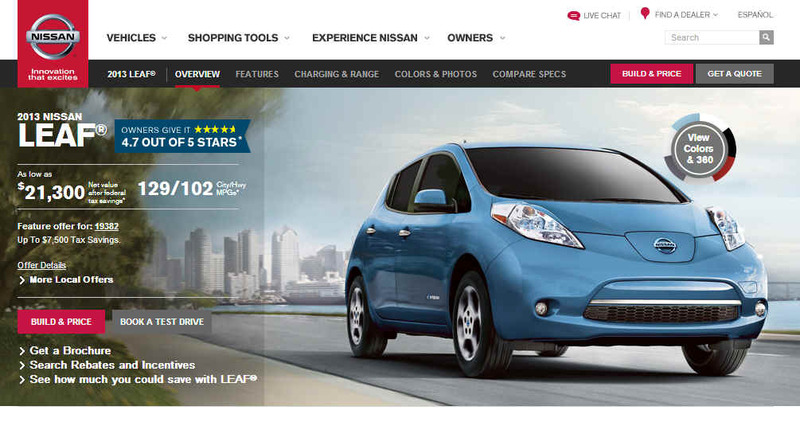 Here is an example for my vehicle… the Nissan Leaf. I gave it my zip code to determine local gasoline prices, then my estimated gasoline vehicle mileage (24 mpg in my case) and finally what my daily drive is (50 miles). The result shows savings approaching $2000 per year to offset the purchase price premium that electric vehicles currently have. At the same time it shows $11,000 worth of incentives to cover that premium. So I ask you, does your current car pay for itself like an EV can?